New John Prine Merchandise Just In Time For The Holidays! 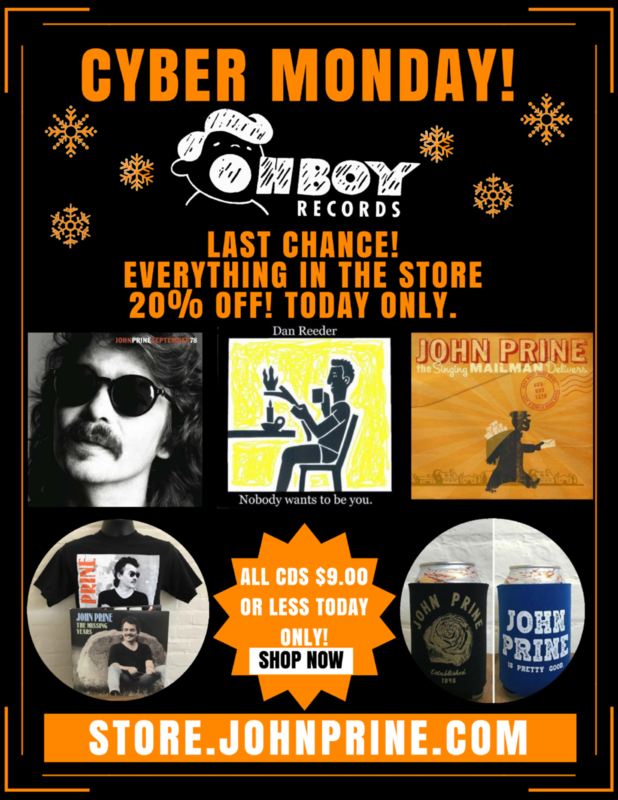 If you’re looking for something for the John Prine fan in your life, Oh Boy Records has you covered with brand new t-shirts, hats, stickers, koozies and much, much more! Holiday sales will be going on through Christmas so stay tuned! Last chance! Head to the store for CYBER MONDAY (Nov. 27th) to receive 20% your entire order! CLICK HERE TO SHOP!